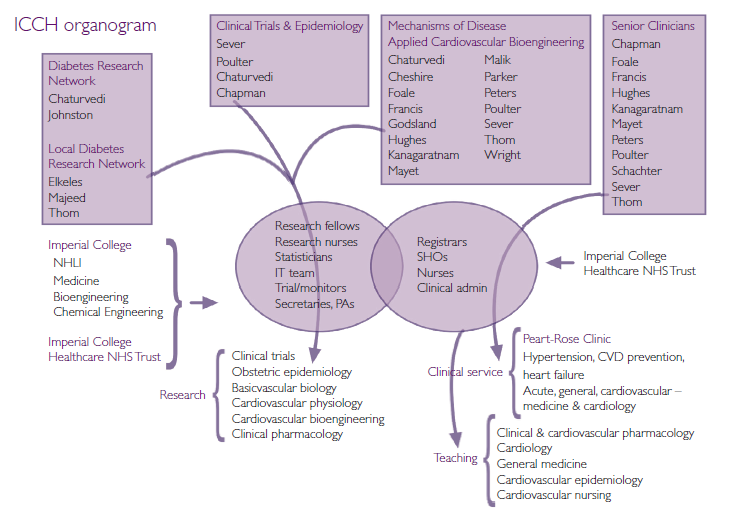 The mission of ICCH is to create and maintain a centre of excellence with an integrated research strategy in the field of circulatory medicine, as well as apply findings from research to advance standards of care in the prevention and treatment of cardiovascular and metabolic disease. Creation of an environment that develops individual careers in clinical and basic research. One of the hallmarks of ICCH is effective cross-disciplinary collaboration between clinical and research staff, enabling them to contribute to a wide variety of projects in different fields. Successful integration across units at ICCH is the key to driving excellence in clinical services, research and teaching.